One of India's wealthiest billionaires has given £5.7 billion to charity, in the country's largest single charitable donation. It brings the total donated by Wipro chairman Azim Premj, 73, to nearly £16 billion in cash and shares. Mr Premj is India's second-richest person with an estimated current net worth of £14 million. The tycoon, who built his father's vegetable oil business into global software conglomerate Wipro, has made several donations to his own charitable trust over the years. 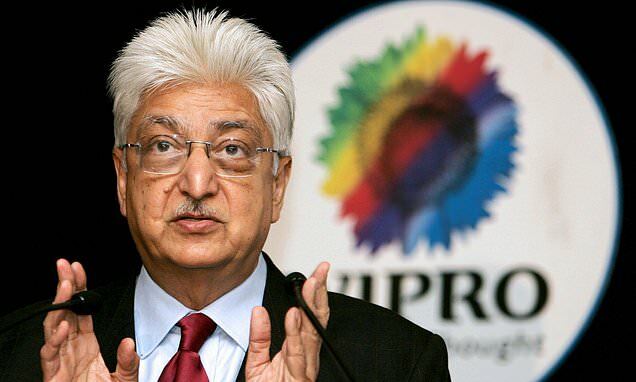 The Azim Premji Foundation now owns 67 per cent of Wipro's shares, the foundation said in a statement reported on CNN. Mr Premji was the first Indian to sign the Giving Pledge, a campaign started by Warren Buffett with Bill and Melinda Gates to encourage billionaires around the world to commit most of their wealth to charity.